Today is France's National Day. In the English speaking countries, the day is called "Bastille Day" but in France, we call it "Le 14 Juillet". The French National Day is the anniversary of the storming of the Bastille on the 14th of July 1789, a turning point in the French Revolution. Shortly after this event, the Declaration of the Rights of Man and of the Citizen", in French, "La Déclaration des Droits de l'Homme et du Citoyen" was proclaimed and feudalism was abolished. The motto of France became " Liberté, égalité, fraternité". This day is a bank holiday. 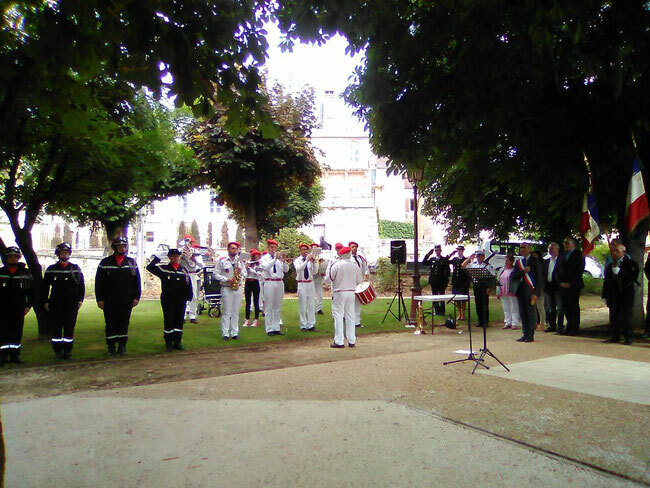 There are ceremonies like on the picture in Montignac-sur- Vézère where we can see the Maire, policemen, firemen and a fanfare. In Paris, there is a big military parade with the President of France on the Champs-Elysées. During these ceremonies, the National Anthem is sung: " La Marseillaise". We hope to sing it again tomorrow if France wins at the finale of the Football World Cup!